Play with confidence at Play2win because we offer only the safest and securest methods for depositing and withdrawing from your online casino account. Play2win is proud to present the most secure and reputable online casino payment methods available. We pride ourselves on our banking platform, which surpasses the industry standard with its fast, secure and 100% safe financial transactions. We provide first-class security standards for our customers on a state-of-the-art banking platform, where all financial transactions are carried out in a fast, safe manner. they will be happy to assist you. A 3% processing fee will be taken on all deposits. Play2win accepts Visa Card payments. To make your initial deposit, you need to first register your credit card in the cashier section. You will be requested the CVV2 number at the back of your card to complete the transaction. Please be aware that some banks might block transactions with online casinos. If you experience any rejections like this, please refer to our alternative payment methods below or contact customer support and we will be glad to assist. Formerly known as Moneybookers, Skrill is a very popular and secure payment method that allows Play2win players to deposit and withdraw money in real-time. By simply funding your account via a bank or credit card, players can easily keep tabs on all their financial transactions in a safe and secure environment. To register your account today, go to: www.skrill.com. NETELLER is by far one of the most established online casino banking methods. Having been in business for over a decade, NETELLER lets players securely fund their accounts via Credit Card, Bank Wire, Internet banking, and EFT. In addition, players can withdraw funds to their NETELLER account without any hassles or delays. To get a NETELLER account, just register at www.neteller.com today. UPayCard provides a secure, comprehensive multi- currency payment solution that can be used both to make deposits and withdrawals worldwide. Creating an online account is fast and easy. In case you need more info, the UPayCard site features a 24/7 chat support. With ClickandBuy, you can easily make deposits at Play2win in a matter of a few clicks. Moreover, when you use ClickandBuy, they do not share any confidential or financial details with any of its 14,000 online merchants, thus ensuring a safe and secure online shopping experience. Register your ClickandBuy account for free and fund your Play2win account now. If ClickandBuy is right for you, go to www.clickandbuy.com now and register your account. 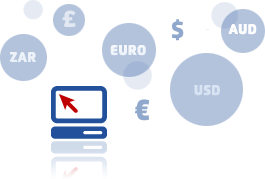 UseMyBank is a popular payment method used by thousands of customers all over the world. The card works much the same as a credit card, although no credit card is actually needed to use the service. UseMyBank is not an e-wallet option and it is also not a withdrawal system, it is used for facilitating payments to online merchants and it requires an existing bank account with a bank that partners with the UseMyBank system. The first time the player uses the system he will link it to his bank account, after that all transactions made online with the UseMyBank account result in a debit off your bank account. Visit www.usemybank.com to register today..
Giropay is one of the leading online payment systems used by players from Austria, Germany and Holland. Transfers are made directly from the players existing bank account with no need to open an additional e-wallet account. Giropay is a highly secure system as transfers are made directly from the players existing online banking system and are subject to the same security system as the bank implements. The players banking details will never be exposed to the online casino as they are made directly through the Giropay system. An easy system to use, the player must simply enter his bank account number and PIN code in order to instantly transfer money into his online casino account. Go to www.giropay.de for more information. Players with a German or Austrian bank account can enjoy the services of Sofortüberweisung, a one-way service between the player’s bank account and a third party such as the online casino. This system cannot be used to withdraw money from the casino only to deposit. Players who use Sofortüberweisung do not maintain a balance with the company and there are no fees associated with its use. Sofortüberweisung is an intermediary between the player’s bank account and the online casino, it debits the amount you choose to pay from the bank and adds it to your online casino account without the casino seeing any details of your bank account. Visit https://www.payment-network.com/ for more information. CASHlib is our prepaid cash-voucher, allowing you to pay on the web without revealing card numbers or bank data. Postepay is a prepaid rechargeable Visa card released by the Italian Postal Service. Postepay provides a reliable and convenient way for Italian players to deposit money at the online casino. Postepay cards can be purchased and refilled at any Post Office in Italy. Winnings can be easily withdrawn back to the player’s Postepay card. For more information on Postepay, go to www.postepay.it. Available across Europe, UPayCard provides a secure, comprehensive multi- currency payment solution that can be used both to make deposits and withdrawals worldwide. Creating an online account is fast and easy. 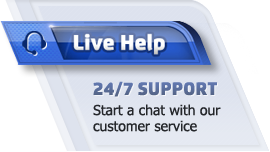 In case you need more info, the UPayCard site features a 24/7 chat support. Available across Europe, Eco Card is an eWallet option that was set up by a group of European banks. Available across Europe, Eco Card is an eWallet option that was set up by a group of European banks. Registering for a card is free and easy. Plus they do not require any credit check or bank details to receive or send money. Once your account is opened, fund your Eco Card via credit and debit cards, Moneygram, Western Union, or bank wires. For more information and to learn how to register, go to www.ecocard.com. With ClickandBuy, you can easily make deposits at Play2win in a matter of a few clicks. With ClickandBuy, you can easily make deposits at Play2win in a matter of a few clicks. Moreover, when you use ClickandBuy, they do not share any confidential or financial details with any of its 14,000 online merchants, thus ensuring a safe and secure online shopping experience. Register your ClickandBuy account for free and fund your Play2win account now. If ClickandBuy is right for you, go to www.clickandbuy.com now and register your account. UseMyBank is a popular payment method used by thousands of customers all over the world. The card works much the same as a credit card, although no credit card is actually needed to use the service. UseMyBank is not an e-wallet option and it is also not a withdrawal system, it is used for facilitating payments to online merchants and it requires an existing bank account with a bank that partners with the UseMyBank system. The first time the player uses the system he will link it to his bank account, after that all transactions made online with the UseMyBank account result in a debit off your bank account. Visit www.usemybank.com to register today.